The Casimir force and superconductivity are two well-known quantum effects. These phenomena have been thoroughly studied separately, but what happens when these effects are combined in a single experiment? 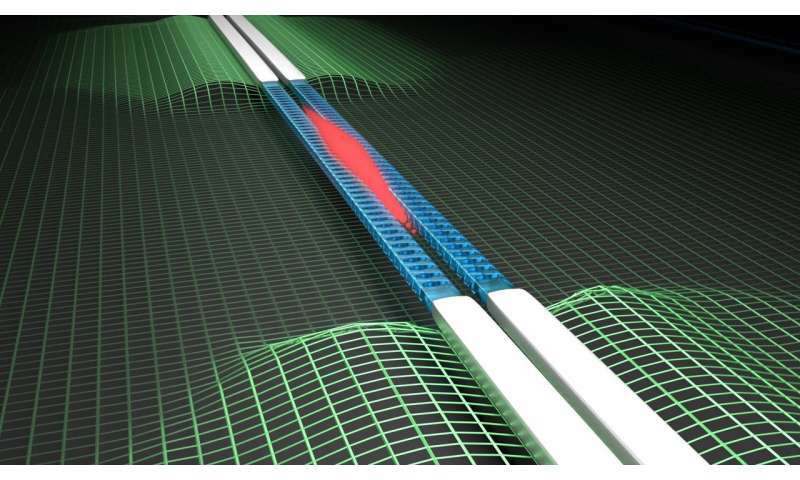 Now, Delft University of Technology have created a microchip on which two wires were placed in close proximity in order to measure the Casimir forces that act upon them when they become superconducting. Is vacuum really empty? Quantum mechanics tells us that it's actually swarming with particles. In the 1940s, Dutch physicists Hendrik Casimir and Dirk Polder predicted that when two objects are placed in very close proximity, about a thousandth of the diameter of a human hair, this sea of 'vacuum particles' pushes them together – a phenomenon known as the Casimir effect. This attractive force is present between all objects and even sets fundamental limits to how closely we can place components together on microchips. Superconductivity is another well-known quantum phenomenon, also discovered by a Dutchman, Heike Kamerlingh Onnes, in the early 20th century. It describes how certain materials, such as aluminum or lead, allow electricity to flow through them without any resistance at cryogenic temperatures. Over the last 100 years, superconductors have revolutionized our understanding of physics and are responsible for magnetically levitated trains, MRI scans and even mobile phone stations. In a new publication in Physical Review Letters, researchers from Delft University of Technology have introduced a novel state-of-the-art sensor that allows them to measure the forces between closely spaced superconductors for the first time. The sensor consists of a microchip on which two strings are placed in close proximity. These wires can then be cooled down to cryogenic temperatures, making them superconducting. "The strings have holes in the centre that act as an optical resonator," said group leader Simon Gröblacher. "Laser light of a certain wavelength gets trapped in there. We can use this light to measure small displacements between the two wires, which means that we can measure the forces that are acting upon them at any temperature." With their unprecedented force sensitivity, the researchers are also able to probe some highly speculative theories of quantum gravity at temperatures near absolute zero—a holy grail of physics. "We could disprove one of the more unlikely and controversial quantum gravity theories, which predicted that we should see a strong Casimir-like effect due to gravitational fields bouncing off the superconductors," said Richard Norte, the first author of the paper. "We measured no such effect with our current sensitivity." 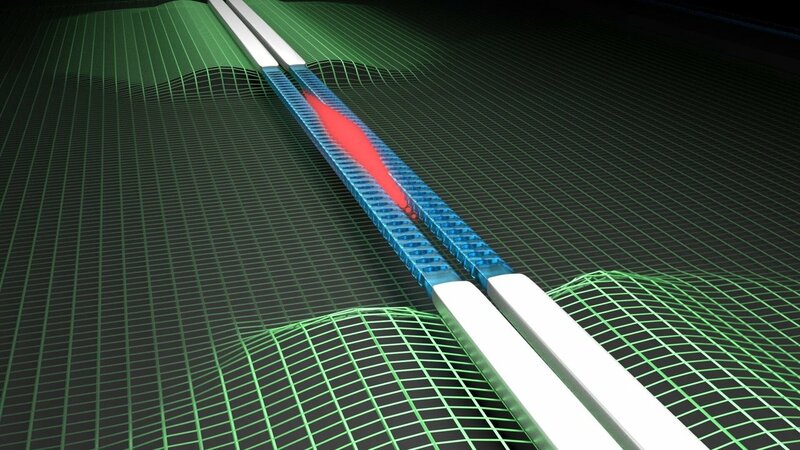 If there is a gravitational Casimir effect, it is more subtle than this theory predicted. The new microchips pave the way for further experiments in an uncharted territory of science where these two famous quantum effects collide. The researchers hope to further increase the sensitivity of their microchip sensors in the near future and potentially probe the Casimir effect between high-temperature superconductors. It remains an open question how, exactly, superconductivity works in these exotic materials, and Casimir experiments could illuminate the underlying physics.